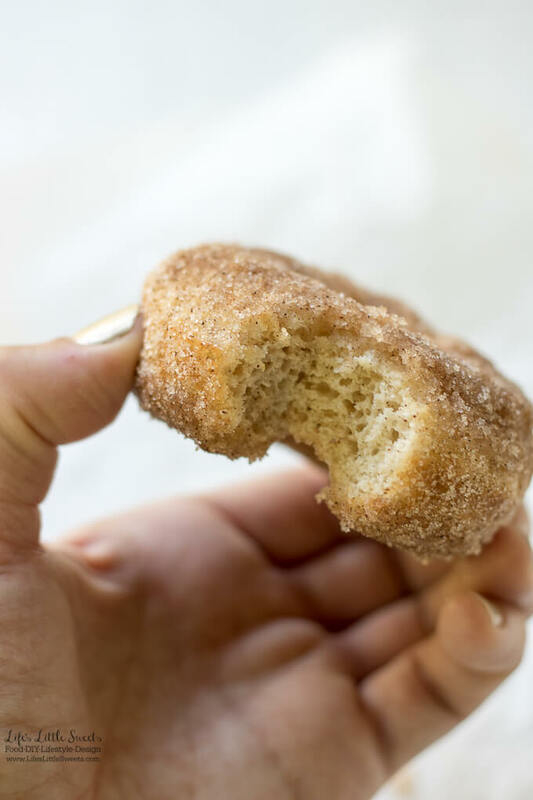 Cinnamon Sugar Baked Donuts are perfect for breakfast, brunch or dessert all year round. Seasoned with crunchy sugar and warm cinnamon, these soft and comforting treats go great with coffee or tea. 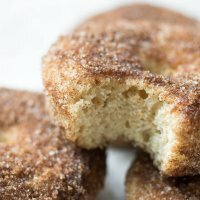 Hi Everyone, These Cinnamon Sugar Baked Donuts are one of the most requested treats that my daughter asks me to make. It seems lately that we have been making them or some variation of them every weekend. 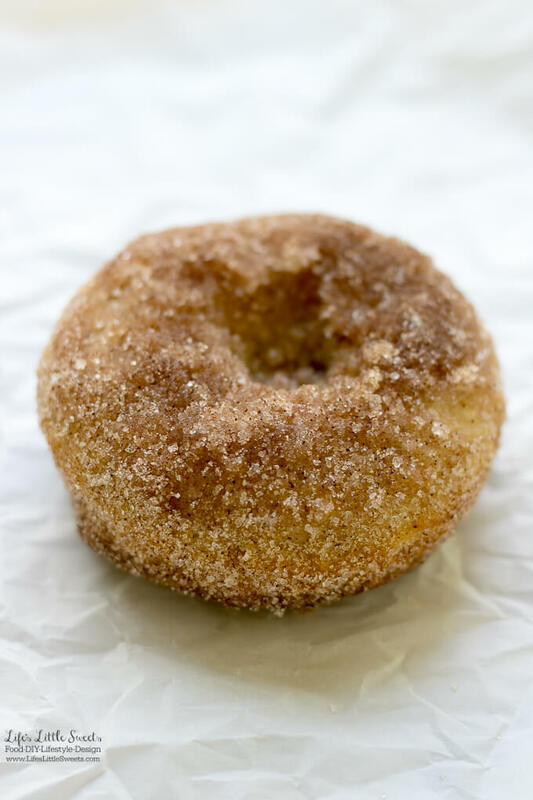 These Cinnamon Sugar Baked Donuts are slightly healthier than their fried counter parts. Just make sure you get a proper donut pan. I have a Wilton 6 donuts pan and just bake them in batches. Alternately, you can use the batter to make muffins – just increase the baking time to about 20 minutes. 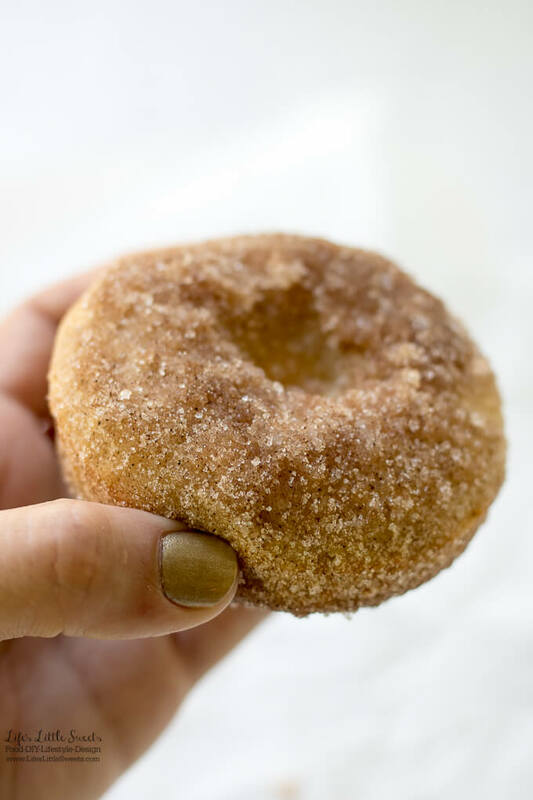 I know you will love these Cinnamon Sugar Baked Donuts; our family loves them! Spray 2 donut pans (you will be making 12 donuts total) with cooking spray and lightly flour, tap the excess flour out. Set aside. In a large mixing bowl, mix the all-purpose flour, granulated white sugar, baking powder, ground cinnamon, ground nutmeg and Kosher salt. After the ingredients are combined, make a well in the center. In a medium bowl, combine the egg, whole milk, melted and cooled butter, and vanilla extract. Pour the combined wet ingredients into the dry ingredients. Mix until just combined. If you over mix the donuts will come out tough. Using a spoon, transfer the batter into the prepared donut pans. Fill each donut well 3/4 full. Bake for 17 minutes. 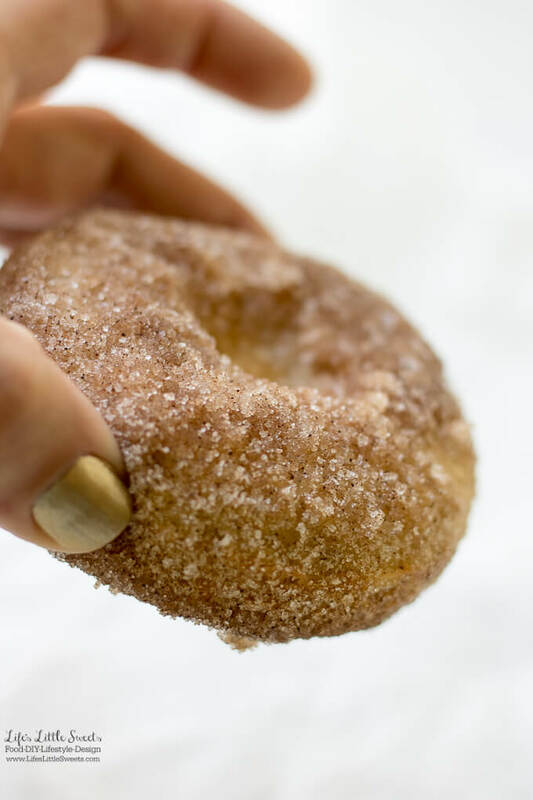 When the donuts are done, they should spring back when pressed with a finger and when inserted with a toothpick the toothpick should come out clean. Melt 2 sticks of butter in a small bowl (large enough to dip a donut in). In separate, a flat-bottomed, small mixing bowl, combine the granulated white sugar and ground cinnamon. 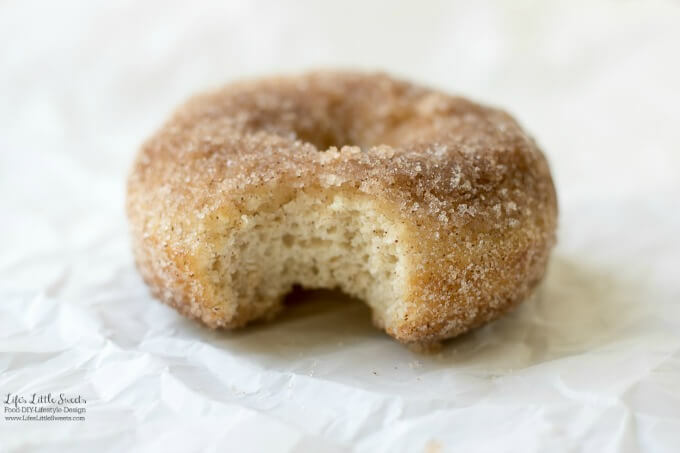 When the donuts are cool, dip each one first in the butter and then in the cinnamon-sugar mixture. Do both sides. Best if served right away and eaten the day of making them, enjoy! 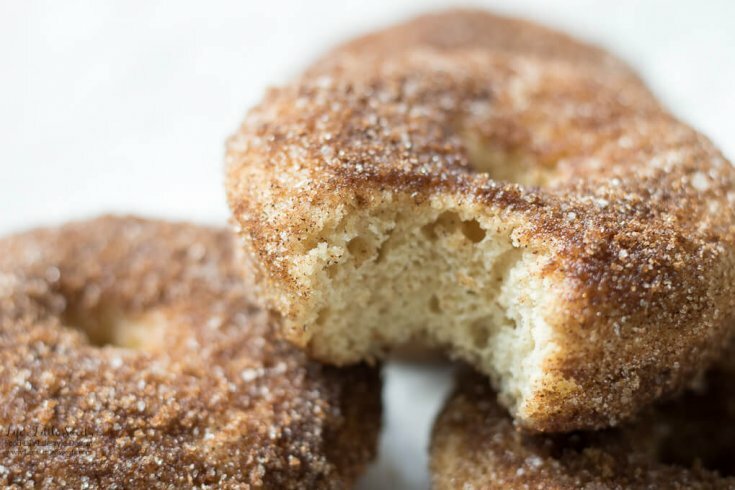 This recipe is inspired by “Cinnamon Baked Doughnuts” by Ina Garten.